I’m on a mission to make a porridge from every grain I have in my pantry (not really, but I probably should be). I have my favorites and this brown rice porridge is towards the top. 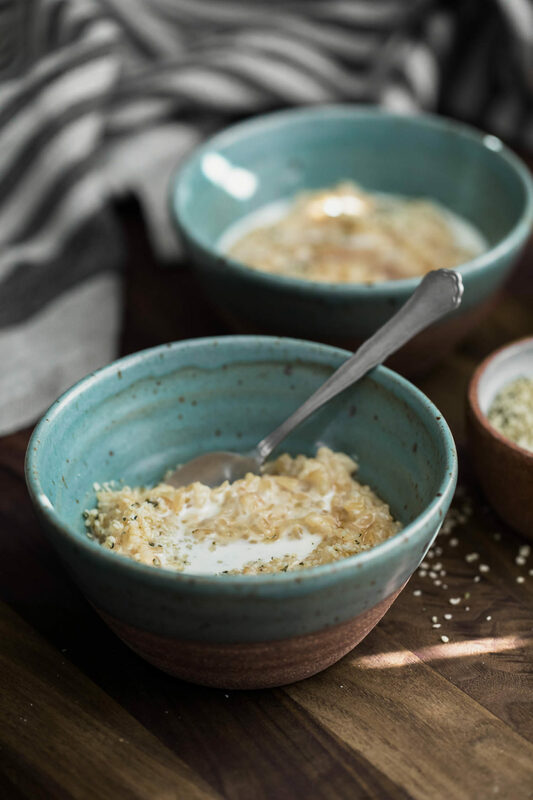 One thing about my porridges that happens to be the case across the board: I like them thick and I like them with texture (this is also the same with my morning bowl of oatmeal). A delicious slow-cooked breakfast porridge using short-grain brown rice. This porridge is perfect for a myriad of toppings. Rinse rice and combine in a pot with the milk, water, honey, vanilla, and salt. Cover, bring to a simmer, reduce the heat so the rice is just barely simmering. Let cook until the rice is tender and milk has mostly absorbed; 45 to 55 minutes. 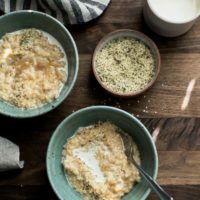 Divide the porridge into two bowls and top with your favorite toppings: heavy cream, sweetener, toasted nuts/seeds, jams, and/or nut butters. Tips + Tricks: Try and make sure you pick up short-grain brown rice. The extra bit of starch helps thicken and create a solid porridge texture. This porridge is just the start. There’s so many ways to adapt and gussy up the toppings. The sky is the limit. I also recommend doing some reading on congee for even more variations. Vegan: Swap the milk for your favorite vegan-alternative like almond or hemp milk. I also like the flavor nut milks add and will occasionally do a mix. Also, swap the honey for maple syrup. I’ve found it takes a bit longer for the porridge, I think because I cook it at barely a simmer since I don’t want the milk to boil. You could always start checking around the 30 minute mark and start with reduced liquid if you’re unsure! I have not but one of my favorite authors has: http://amychaplin.com/2010/11/05/black-rice-porridge-with-coconut/ Looks delicious! This is a wonderful nourishing breakfast to help promote energy and vitality. I love porridge – it brings comfort and satisfaction to every mouthful and will keep you warm and cozy through these cold winter months. 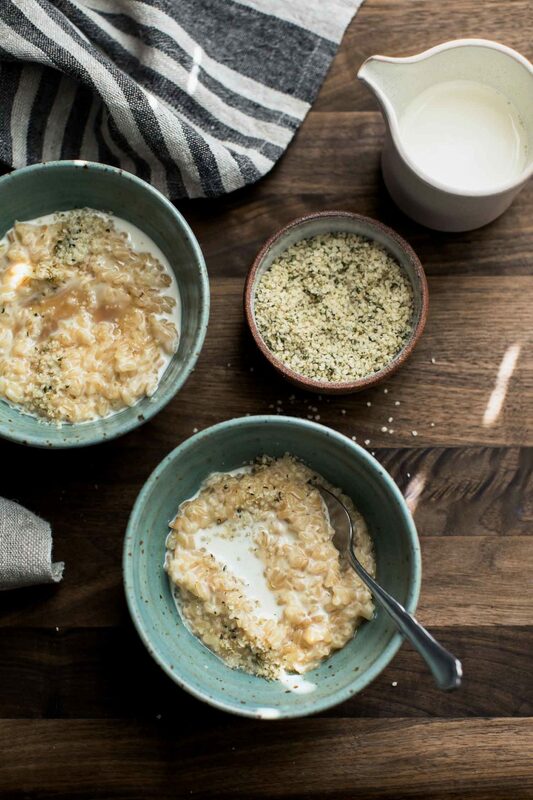 I love to add warming aromatics such as cinnamon and ginger that makes my porridge absolutely irresistible. It reheats well and the way I do it is to place in back in a pot along with more milk (enough to break it up), cover, and cook over low for a few minutes- until it’s warmed through.